Here in Texas we tend to call everything Coke and then specify a flavor. I’m not sure why we do that, it’s just how it is. It’s not common for someone to say you have any Cokes, and then go I want a Dr. Pepper. Here in Texas I would just say Active Media Products have a new flash drive that looks like a Coke can and people would understand it’s not literally a Coke can. 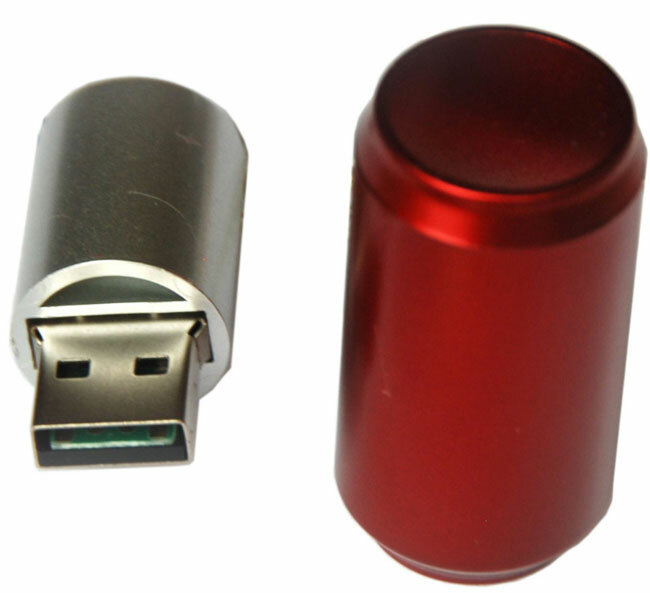 Those of you in other states would say this is a pop can or soda can flash drive. Whatever you want to call it, the thing is quirky and perfect for the geek that collects flash drives. The can measures 1.7″ x 0.8″ and can be had in 4GB to 8GB capacity. It has a keychain so you can put it on your key ring or carry it in your pocket. If you like the way the little can looks you can order one up right now with the 4GB version for $11 and the 8GB for $20. That’s actually cheap for the storage. This might make a great geek stocking stuffer.